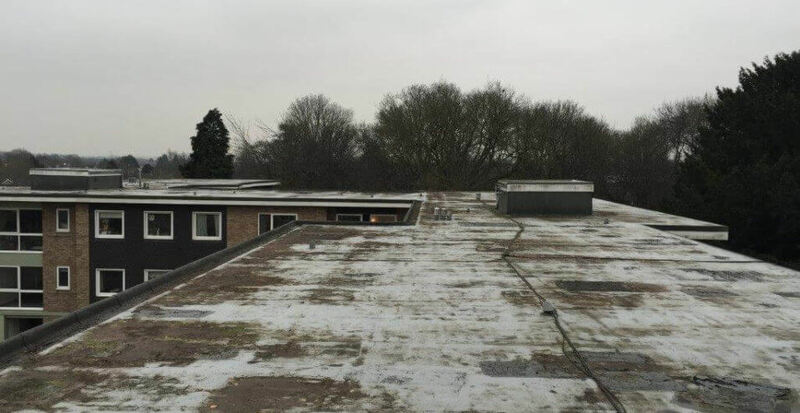 The Dell is a large housing block in St Albans with an existing flat roof that had deteriorated and had started to give the residents cause for concern. 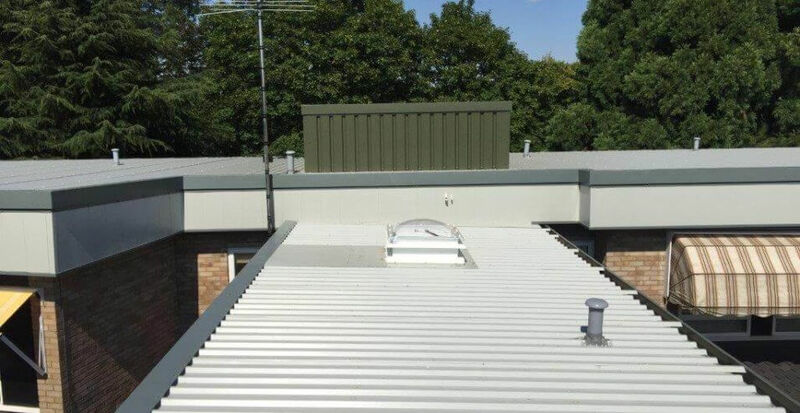 Frequent patch repairs have been carried out over the years and they felt that the roof had come to the end of it’s life. Approaching Dibsa with their worries, they were looking for proposals and advice as they were considering the possibility of a flat to pitch roof conversion. 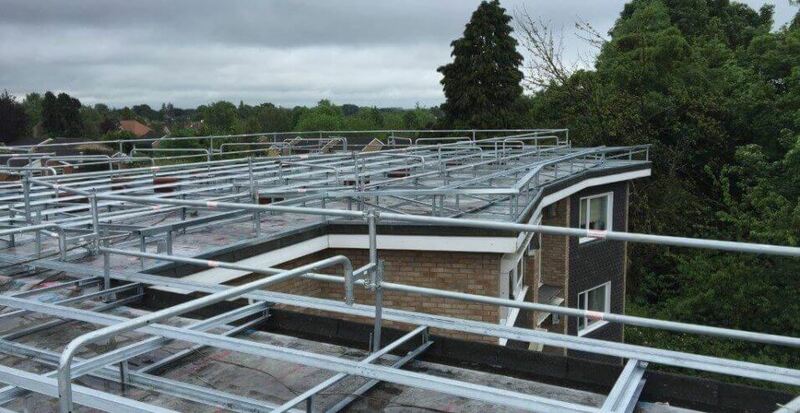 We contacted one of our experienced contractors William Cooper Ltd of Barnsley, South Yorkshire and invited them to meet with the client in order to discuss the project in further detail and the options available to them. 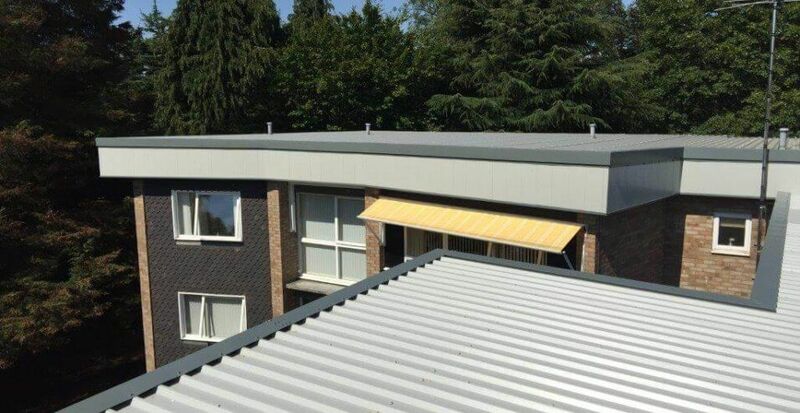 Considering the design of the roof, the pitch of the roof and also the various roof covering options available to them to ensure that the right solution was chosen. Taking into account the needs of the building itself but also ensuring that the design was tailored to meet the financial constraints of the budget. After some discussion and quotations submitted the right solution was eventually agreed upon. The lightweight steel flat to pitch was a perfectly simple design as the client chose a mono pitch solution which complimented the shape of the building. However there were a couple of areas that required some deliberating as there were a number of faces of the building that were concave. I am pleased to say the project went like a dream and has been expertly installed by William Cooper Ltd. The residents are very happy with the results and as you can see from the photographs the aesthetics of the building have been much improved.